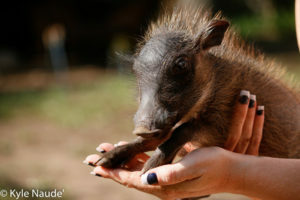 Recently the Rhino River Lodge family has extended to include two new members, Sizzles and Peanut. 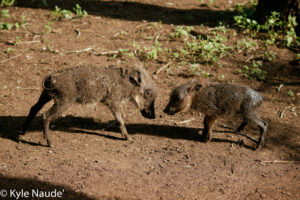 Sizzles and Peanut are orphaned warthogs who have been adopted by managers, Clair and Kyle with a little assistance from the rest of the Rhino River Lodge staff. 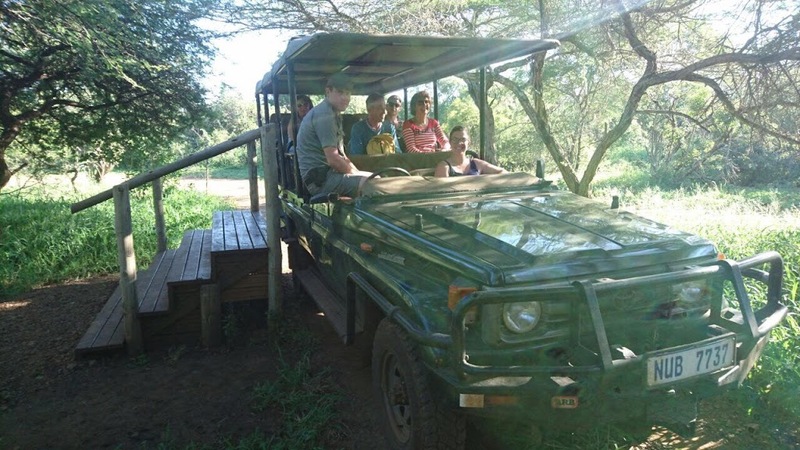 Sizzles came to us when he somehow ended up in the garden of a staff member in the northern part of Manyoni Private Game Reserve all by himself. His mother was nowhere to be found and Clair and Kyle volunteered to adopt him. 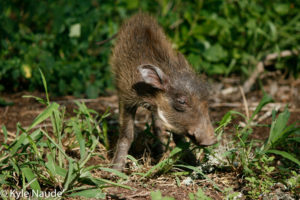 Shortly afterwards, we received another call from a property outside the game reserve where a mother warthog had been hit by a vehicle, and one baby warthog had been rescued. This little baby was Peanut. Peanut was in a bad state as she arrived severely dehydrated. Luckily Clair and Kyle had already been polishing their rescue skills with Sizzles and they were able to nurse her back to health with some veterinary assistance. Taking care of a rescued animal is no easy feat. 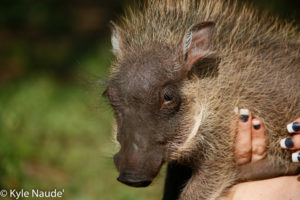 Many wild animals that are rescued don’t survive and, though people are generally well-intentioned, caring for rescued animals takes specialised knowledge and lots and lots of time. Clair and Kyle have been successful, because they have sought and followed veterinary advice and have relied on the support of many other people for assistance when their own schedules were busy. A strict schedule of feedings, every two hours for Sizzles and Peanut when they were very little (this includes the middle of the night! ), left caretakers exhausted. Sizzles and Peanut first subsisted on a special milk formula that Clair and Kyle had to mix up using fresh cream, egg yolks, full cream milk, a special protein powder (to keep the stomach lined and working properly) and liquid vitamins. Beyond feeding, keeping a constant eye on them as they got their daily fill of exercise was a full-time job in itself. 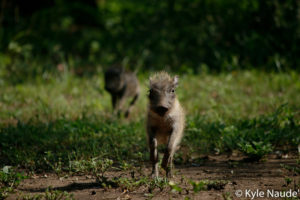 As they got stronger and braver, both warthogs started following their adoptive parents around the lodge. 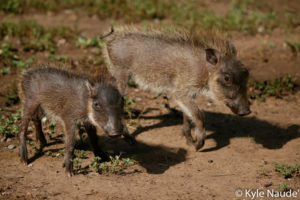 One of the greatest treats for our guests was seeing Kyle or Clair walk around the corner into the lodge and then shortly after, two adorable baby warthogs racing in after them. While it is a privilege to spend time with these two baby warthogs, the ultimate goal is for them to be able to survive in the bush and to live on their own. They are spending more and more time each day wandering on their own through the lodge grounds, grazing and encountering other warthogs. Until then, the team at Rhino River Lodge and our guests are enjoying getting to see the shenanigans of these two warthogs as they grow in their independence. One of Clair’s favorite new tricks is when Sizzles and Peanut recently started doing spins, “as I call it, their dance moves,” says Clair. While all these interactions are rewarding and the Rhino River Lodge team is enjoying having the two little warthogs as part of our family, we are all rooting for them to return to the bush in the not too distant future. Originally published at Africa Geographic.